I got a moving cache from TermiteHunter a while back. I took it with me on my trip to Seattle a few weeks ago and gave it to TheBadCop. They talked about it on this week's Caching in the Northwest podcast along with a call-in about locationless caches from DudleyGrunt. The moving cache contained a travel bug, a GeoKrety and a BIT cache. As they described it on the podcast, it was Geocaching Gold! You can listen to the podcast on http://cachingnw.com/2014/03/02/caching ... de-33.aspx or look them up on Google+ and YouTube. 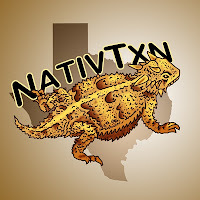 NativTxn wrote: I got a moving cache from TermiteHunter a while back. I took it with me on my trip to Seattle a few weeks ago and gave it to TheBadCop. They talked about it on this week's Caching in the Northwest podcast along with a call-in about locationless caches from DudleyGrunt. The moving cache contained a travel bug, a GeoKrety and a BIT cache. As they described it on the podcast, it was Geocaching Gold! Oh crap. I wish I knew about it BEFORE it happened. I could have told the story (probably by email, I get nervous on podcasts) how I actually "lost" the cache for a couple months, and "found" it again. Basically, the cache, while under my care, was muggled, and then returned. But I had already handed off a replacement to a guy from Dayton, Ohio. Ultimately, I mailed the "real" cache to him. I just had an idea though..... I'm going to feature the cache in the blog sometime, and tell the FULL story of what happened. Will make for a great fill-in blog post for the inevitable next time someone isn't "too speedy" with their responses to an interview. I'll make a 2nd post to say I will be sure to listen, and I hope TheBadCop takes it to many events, and spreads the word of OCNA. I see he did recently create an account with us to log it.